Get a FREE Estimate on your repair with FREE Expert advice and SAME DAY PRIORITY repair.WE START YOUR REPAIR THAT DAY! Both Mac and PC! Stop in for a free estimate. We're located at 2 Pelham Town Square in Fonthill. Virus Removal Your computer is virus-infected and everything you have tried doesn't work to remove the virus, We can help! With the expertise of JTG Systems Virus Removal Specialists, eliminating a virus is easy. We remove and completely eliminate viruses and other malware from your PC. Virus Removal in Niagara / St.Catharines. You are pulling your hair out cause of the worry of all your files being deleted and they tell you; your computer is going to explode if you don't “act now” says a scary warning on your screen and some “Computer Expert from Microsoft” keeps calling you for money to fix the problems from a 1 800 # or your computer Just won't Boot Up because “something happened”. You call computer store after computer store, until you find someone that answers the phone and perhaps knows what they are even talking about. You are searching for a Trustworthy Computer Technician that has Years of experience and great reviews from locals in the area that vouch for the tech, who actually knows what they are doing. You move on to stage 3. Stage 3: The Pros answer your call for help! JTG Systems answers your call and You hear the voice of reason at 2 Pelham Town Square in Fonthill. You bring your unit in the same day and You are greeted by a nice guy (John) or another technician who knows your problem inside and out as he has repaired thousands of computers with the same or similar issues. We even include a 90 Day Warranty on all workmanship to ensure you are 100% Satisfied with the work completed. You are first given an on the spot estimate and usually a “Same day or next day timeline.” keep in mind not all jobs are equal, in terms of the time required to do the repair. You are briefed if there is any foreseen delay and an accurate timeline for pickup is provided. If required; a rush is put on the repair at no extra charge! We also include a free tutorial on the computer/laptop or Mac, So that you will know how to use it and provide a scope of work that was completed. You give a good google review for a 10% off future service and you are more than happy to do so as your problem was fixed the very first time within the day of dropping it off. You tell your friends and family about our great work and brag to your friends of how fast your computer is and that you finally found “a reliable, competent computer company who actually knows what they are doing” (JTG SYSTEMS). 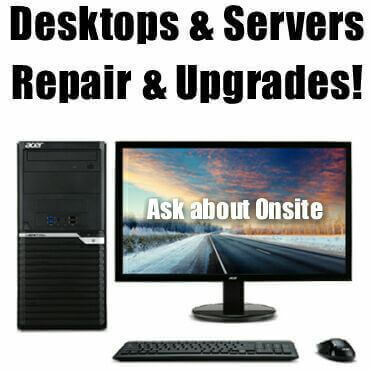 JTG Systems is dedicated to providing the best customer service and computer repair available to you. When your Laptop, PC or Mac needs repairing, you won't have to worry for long! Our technicians are skilled in dealing with all computers and gadgets whether you need home or business computer repairs. JTG Systems is Your #1 in Niagara and St.Catharines for computer repair and Mac / Apple repair, data recovery and Niagara Computer Repair. Call our office at (905) 892-4555 for one of our professional computer repair technicians to help you with your computer, laptop repair, Mac or other computer problem. Stop into our computer shop for a FREE estimate on any repair! We provide quality, expert computer repair service for home or business computers. We give FREE in-shop estimates and advice with no obligation. We offer a price match guarantee that any other legitimate business cant beat our service rates when directly compared. We give the best deals on any computer repair for PC, Laptop, Mac repair and Data recovery. 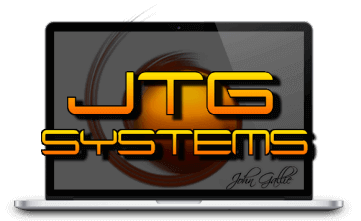 We offer the best computer service and some of the best techs in the computer industry are at your service here at JTG Systems, We have 15+ years experience! We are at the top of the heap in this growing industry. We look forward to seeing you and solving your issue! 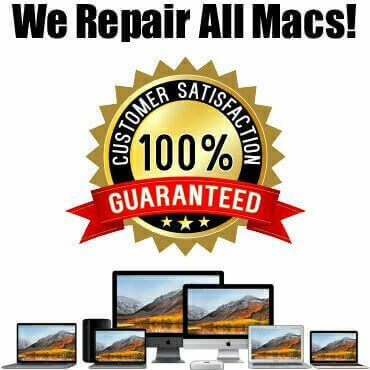 We are #1 for MacBook repair, MacBook Air repair, Computer repair and laptop repair in the Niagara region, Welland and St.Catharines area. Our specialty services include Apple / Mac Data Recovery, MacBook Pro / iMac repair and so much more! People find that JTG Systems is the best repair place in Niagara and give a higher valued service then they would traditionally get anywhere else. They tell their friends about our amazing work and more than quality customer service. Over 150 great Google reviews! Speaks for it self. We provide Computer repair services to all areas of Niagara Region. Professional on-site and in-shop computer services are performed by expert level technicians. Our many specialties include Data recovery, Mac Repair, Apple Computer repair and MacBook Air Repair. 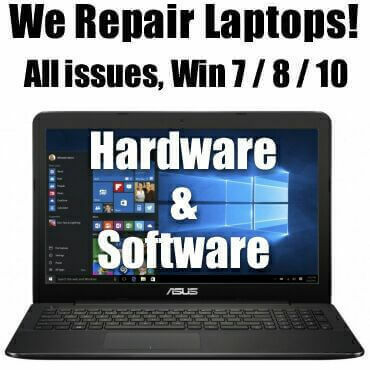 Laptop repair service including hard drive data recovery, saving files, Laptop jack repair and solving laptop heat issues as well as blue screen and MacBook Pro screen repair. JTG Systems is Your #1 in Niagara and St.Catharines for computer repair and Mac / Apple repair, data recovery and Niagara Computer Repair. Call our office at (905) 892-4555 for one of our professional computer repair technicians to help you with your computer, laptop repair, MacBook Pro or other computer problem.